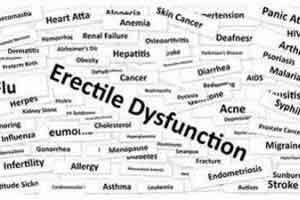 Erectile Dysfunction, ED is defined as the inability to attain and/or maintain penile erection sufficient for satisfactory sexual performance. The Panel also endorses the Fourth International Consultation on Sexual Medicine’s ED definition as the consistent or recurrent inability to attain and/or maintain penile erection sufficient for sexual satisfaction. The members of Guideline development committee have tried to include almost all aspects of Evaluation, Diagnosis and Treatment of Erectile Dysfunction to guide ,enable and empower Clinicians to deal with this delicate medical problem.